The airport of Sofia is the largest and most important one in Bulgaria. It has an enormous matter on the Bulgarian economy and the growing investments and expansions are an indicator about the significance of the airport on our country. The Sofia Airport was first opened in the middle of the 20th century and did not stop developing and becoming a modern European airport. There are 2 terminals serving more than 4,5 million passengers per year. It is like a small town with many shops, coffee places, locals, restaurants and spots for relax. The newest attraction is the recently opened platform where every photo-fan can take a picture of the airplanes landing and taking off. To facilitate the passengers there are a lot of tourist agencies’ offices, change bureaus, banks’ branches, rent a car offices. On the airport there is also a large parking area unfortunately very often full with the vehicles of the passengers’ relatives. The Airport is located on the suburb area of the capital. The fastest way to get to it is Brjuksel Blvd or Tcarigradsko Way. Or you can take bus 84, which can drive you to the airport for half an hour. There is a bus that connects both of the terminals on every 30 minutes. There are many rent a car companies trying to attract customers on the airport of Sofia but only iRent is offering excellent services and prices. The company offers to its clients “Meet and Greet” service, an employee will wait for you at the airport and give you a ride to your car which will save you costs and time. Irent has parking spots at the airport for your vehicles. So we will prevent you from spending more than 80% of the airport taxes, taxi costs and last but not least – you can get a fast and easy transfer to the airport for free. The parking area is round the clock secured, video surveillance and surrounded by high fence. So leave your car in our safe hands! You can reserve your car online. All you need to do is just to fill a blank which will take you less than 10 minutes. By online reserving you can get to 10% discount. For the finest of customers we are offering transfers to the airport or any other direction. So you will be met by our representative, get your car and have an experienced driver who will take care of you safety and comfort. 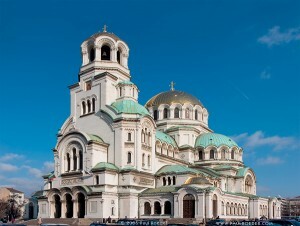 The airport of Sofia is a perfect starting point for a trip around the country, a desirable enjoyment. Follow the example of the thousands of Bulgarians and contact us. Invest in your comfort and safety on the road. Try us once and find how much have you missed up to now.